We are loving the last rays of sunshine as summer comes to an end and there is no better way to put off the inevitable than tucking into a sweet cool gelato. Eastside has a few delicious spots to stop and browse the flavours, here are some of our favourites. Landmark gelato royalty Messina have two locations in Eastside - in Darlinghurst and Surry Hills. Staples include tangy lemon, dark chocolate and salted caramel but as seasons change new selections are added. We are loving The Hello Sailor pink grapefruit and Aperol sorbet, a perfect way to cool off on a sticky Sydney afternoon. Darlinghurst post dinner haunt, Rivareno is the place you go once you’ve wrapped up a boozy dinner on Crown street or looking to refresh after a morning of trawling the Surry Hills Markets and Oxford Street boutiques. 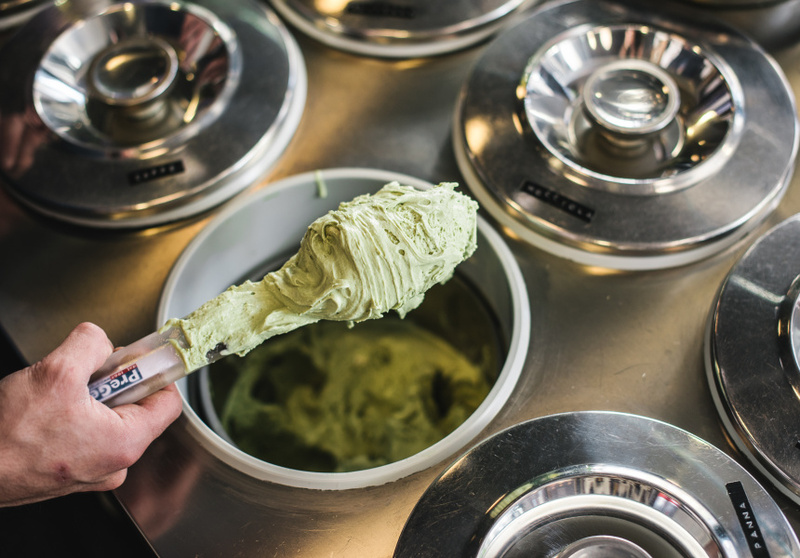 They make their gelato fresh daily and you can watch the churning process as you wait. Available in indulgent tubs to take home, don’t mind if we do! These Danish legends have been quietly churning away their high quality gelato and ice cream in Potts Point for a number of years and the tantalising smell of cones regularly wafts down Macleay St. We love their rich, chewy Danish nougat flavour, the ideal sweet treat. Two hundred years ago Australian men were paid not in money but in rum. In Surry Hills there is a bar paying homage to the wild old days in the form of Brix Distillers. An authentic rum distillery and bar, mixing the art of rum creation with a delicious and perfectly curated local produce menu. Delivering the whole package, food, booze, tours and education, Brix opens its doors to everyone who wants to learn the secrets of rum distilling. Working with their expert distillers to create your very own barrel of rum makes you a bona fide Sydney-sider!. They’re also open for events, functions and tours but if you are just wanting to check it out for the first time then get down to Bourke Street for a Latin inspired tasting plate and the freshest selection of rum around. There’s a new gallery in town and they have opened their latest exhibit with Rex Turnbull. Contemporary on Crown is the latest modern art space in Eastside and is already making waves across the art community. New Zealand born painter Rex Turnbull is best known for his strong narrative based work and distinct combinations or portrait and landscape, exploring the relationships between people and their environment. Using soft colours and suggestive style his work is seemingly clear and yet open to varied interpretations. This latest exhibit is something to truly look forward to. If you are on the pulse of contemporary art then this is a venue which you will want to know about. Keep an eye on their Facebook page or the website linked above for all their updates and events.